It has been a long time since I posted, and frankly, since I finished a book. I have started several and just not gotten through. Which is probably the main reason I actually finished this one, despite it not being all that great. I figure I have to do about 3/month the next several months to catch up and average out-eeks! 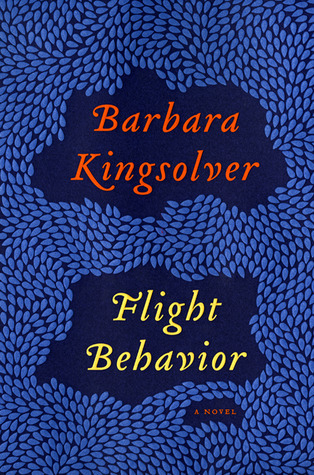 I had high hopes for this book as I am a fan of Barbara Kingsolver. One of those authors that I keep my eyes peeled for new books. But this one might have changed that. I just kept waiting for it to get good. Most books take me awhile to get in to, but with over half done I was pretty sure this one just wasn’t really going to get there. The story takes place in Appalachia where (fictionally) all of the monarch butterflies have decided to come migrate instead of Mexico because of landslides and global warming. I am not against global warming, but I was surprised at how agenda-y this book was. And frankly, just sort of boring. The main character does make some personal revelations that were intriguing, but all could have taken place in about 200 pages or less, not the over 400 that this one was. I read this on the Kindle and I do really enjoy the portability and the ability to read on my phone when I don’t have the book, but I still am just missing the turning of the pages and for this book, knowing how much book I was getting myself in to would’ve helped– and when I maybe should’ve bailed. It’s just so hard to get that on the Kindle. I am also posting this on Goodreads. I am using it as my new book list and it’s a pretty good site/app- I would recommend it!